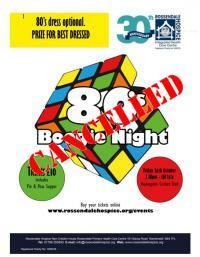 Keenans Estate Agents are always keen to support the local community they serve. 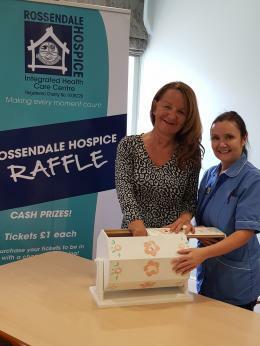 Earlier this year Area Manager of the company, Anneka Vines, who lives in Rossendale, got in touch with Rossendale Hospice and asked how Keenans could help and get involved. 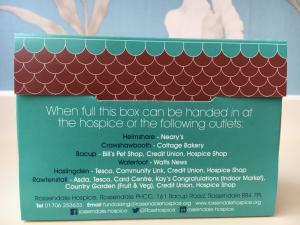 Following a visit to the Hospice, thirteen members of the company took part in the Firewalk challenge in March raising £851.80 and have since generously offered to sponsor the cost of producing 10,000 penny pinching boxes, saving the Hospice a sizeable £1,650. Their support has earned them recognition as a gold ‘Corporate Partner’. 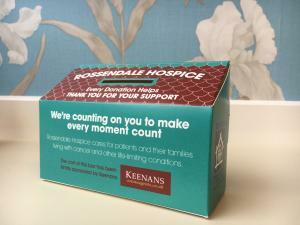 If you would like to collect and donate your loose change to Rossendale Hospice, you can pick up a box from any of the Hospice charity shops, Keenans Estate Agents, most supermarkets and many other shops in the community.